Cloudera and Hortonworks are merging, in a deal that will value the new entity at about $US5.2 billion. 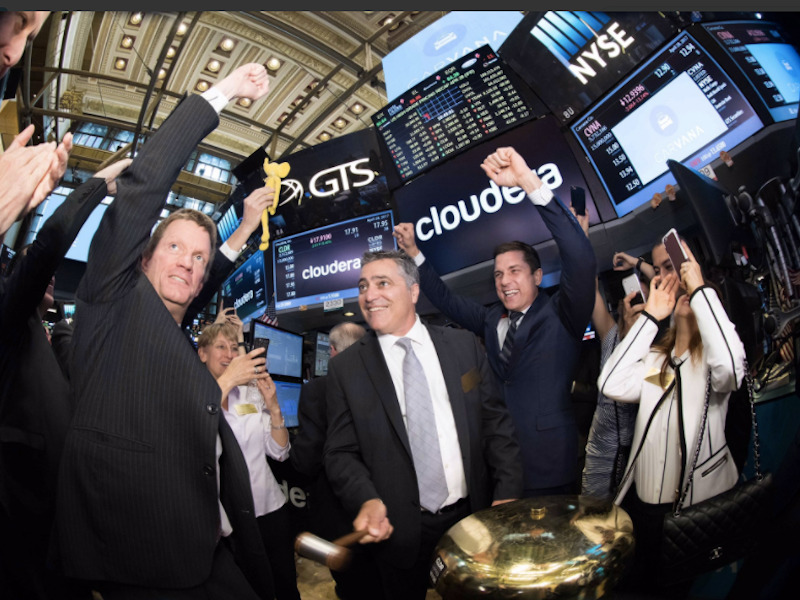 The companies say it’s a “merger of equals,” but Cloudera’s CEO will be in charge of the combined entity, and Cloudera shareholders will hold a 60% stake. Cloudera has announced a merger with Hortonworks, one of its chief competitors, the companies said in a statement. The deal is already approved by the directors of both companies. The total value of the two companies, based on their share prices at the closing bell on Wednesday, is around $US5.2 billion. The deal was described as a “merger of equals.” However, according to the agreement, Cloudera’s stockholders will own a 60% stake in the new company. Cloudera CEO Tom Reilly is set to become chief executive of the new, combined company, while Hortonworks’ CEO, Rob Bearden, will be out of an operating role, but will take a board seat. Both companies specialize in the processing of very large amounts of data, using a technology called Hadoop that was originally invented at Yahoo. In recent years, competition has mounted in this space, as Amazon, Microsoft, Google, Oracle, and others heavily invest in and market their own competing solutions. Shares of Hortonworks were up as much as 13% in after-hours trading at the time of publication. Shares of Cloudera were up about 15% at the same time.